Find out where you can visit the historic lighthouses of New York. Up and down the state's coast many of these beacons still stand and are wonderful places to visit to learn history and get some great photographs. Get away from all forms of stressors--work, relationships, traffic, etc, pack your things and camp at the tranquility of the Tibetts Point Lighthouse. Tibbets Point lighthouse is one of the few lighthouses in NY. Lighthouses gives you full access viewing of the sceneries across and nearby with the help of a telescope. Built in 1827, the Tibetts Point Lighthouse shows the only unique working Fresnel lens in Lake Ontario. Visitors will take pleasure in using the provided telescope to survey the Lake and River. This lighthouse marks the point where Lake Ontario meets the St. Lawrence River in Northern New York State. Not only do they let you see those amazing and breathe–taking scenery, but also, they offer a hostel for those customers who are bound to stay over in town. Fantastic idea, wouldn't you agree? Don’t just sit back and merely read this. Why not try? 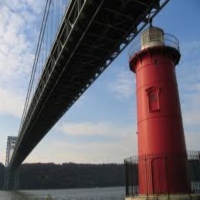 Surely, you’ll enjoy your one of a kind adventure with the best Lighthouses in NY! Spectacular View From The Jeffrey's Hook Lighthouse! Have a day off from the hustles and bustles of New York and come to Jeffrey's Hook Lighthouse and enjoy your day relaxing and sightseeing along the Hudson River. Jeffrey's Hook Lighthouse is a historic monument and among the few remaining lighthouses here in New York. It stands 40 feet tall and was built in the early 1920's. Located just underneath the George Washington Bridge, the place really is a great site to see. Come and visit Jeffrey's Hook Lighthouse and enjoy the spectacular views that it has to offer. Old Field Point, A Great Place For Site Seeing! Come to Old Field Point and enjoy yourself with some of the great sites and the amazing fresh air. The place is a great getaway from the city where you can relax and have a break from all the stress. Completed in 1823, the lighthouse continues to amaze its visitors with the beauty of its structure and the elegance of the design. Come to Old Field Point today and make your day here in New York a pleasurable experience where you can have a great time. The Great Wonders Of Huntington Harbor Lighthouse! Make your way to Huntington Harbor of New York and enjoy some great site seeing and strolling in the area. 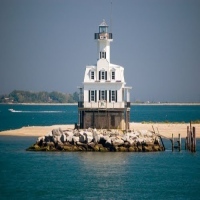 The Huntington Harbor Lighthouse is one of the treasured historical monuments here at Huntington Harbor and continues to attract visitors from all over New York. Established in 1857, the lighthouse stands at about 42 feet tall and is an excellent place to enjoy some amazing views by the sea. Visit Huntington Harbor Lighthouse and enjoy the wonderful beauty of the structure and the rich historical heritage of this proud structure. Great Scenery At North Dumpling Lighthouse! Visit North Dumpling Lighthouse where it is always calm and peaceful. Among the beautiful lighthouses here in New York, North Dumpling Lighthouse offers some spectacular scenery and a comfortable environment where you can truly appreciate the beauty of this historic structure. Come to North Dumpling Lighthouse today. Make it a pleasurable experience where you can have peace and quiet in this wonderful lighthouse. The Wonderful Cedar Island Lighthouse! 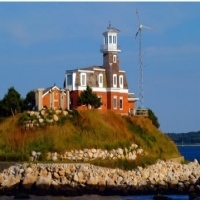 Visit Cedar Island Lighthouse today and see the elegance and beauty of this marvelous structure. 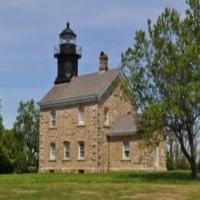 Among the few remaining lighthouses here in New York, Cedar Island Lighthouse is managed by the volunteers of Cedar Point County Park to preserve and restore this amazing structure, also to raise funds for the maintenance of this lighthouse. Come and visit Cedar Island Lighthouse today and enjoy the scenic views and the peaceful environment. Enjoy Your Day At Horton Point Lighthouse! 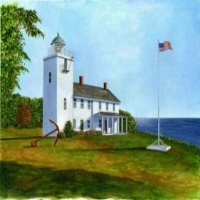 Have a break and enjoy your trip to Horton Point Lighthouse. The place offers a scenic view of the sea and a great place for strolling and relaxation. 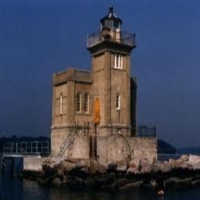 The lighthouse has in its venue some exhibits where you can learn more about the historical heritage of this marvelous structure and tours are held on weekends. So come to the place where you can enjoy your day relaxing and enjoying some spectacular views. 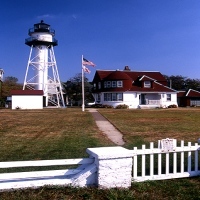 Visit Horton Point Lighthouse today and have yourself a great time. 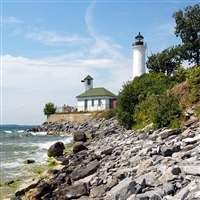 Enjoy A Trip To Thirty Mile Point Lighthouse! 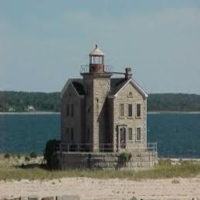 Located at Golden Hill State Park of upstate New York, Thirty Mile Point Lighthouse is a wonderful structure where you can appreciate the great scenery of the sea and enjoy the fresh air. 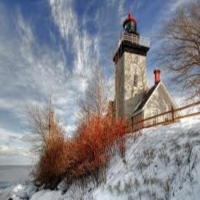 Located in a calm and peaceful place, Thirty Mile Point Lighthouse is a perfect location to relax and spend some quality time with yourself or your loved ones. Come and visit Thirty Mile Point Lighthouse today and appreciate the elegance of this 61 feet structure who stands tall and proud. Enlightenment At Long Beach Bar Lighthouse! Visit Long Beach Bar Lighthouse and have yourself a great time enjoying some of the amazing sites and great scenery. The lighthouse is transformed into a museum where they store exhibits that tell about the historical heritage of the place and this tall proud structure. Among the few remaining lighthouses that are open to the public here in New York, Long Beach Bar Lighthouse opens its doors to everyone to see. Come and learn more about this spectacular place. Visit Long Beach Bar Lighthouse today and have yourself a great time. A Lighthouse With Some Spectacular Views Of The Sea! Visit Coney Island Lighthouse and enjoy the breathtaking views and the beauty of nature that it has to offer. It is a perfect place for spending quality time with family or with a group of friends. The lighthouse is in itself a truly wonderful structure and a great place to visit here in New York. Come to Coney Island Lighthouse today and have yourself great quality time with your loved ones and enjoy the amazing views that the place has to offer. A Scenic Place To Visit Here In New York! Have a trip to Montauk Point Lighthouse and enjoy the peaceful environment and the rushing winds of the sea. The place offers great scenery where you and your loved ones can come and have quality time together. 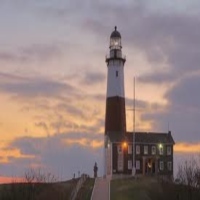 A great travel destination here in New York, Montauk Point Lighthouse continues to attract guests from all over the state for its historical heritage and the amazing sites to see in the area. Come to Montauk Point Lighthouse and see for yourself the beauty and elegance of this amazing lighthouse and the scenic views.